When I read this, the ‘communication range’ struck me as at best an oversimplification. However, many people replied to my tweet, and a fair proportion seemed to take the idea seriously. I also found several references to the concept online. So I decided to look into it. Here’s what I found. As far as I can tell, the idea of the 2 standard deviation IQ communication range did not start with Leta Hollingworth. Hollingworth (1886 – 1939) was a pioneering psychologist who did conduct research on high IQ individuals and published extensively on the topic, however she never used the term ‘communication range’ nor explicitly discussed such an idea. Observation shows that there is a direct ratio between the intelligence of the leader and that of the led. To be a leader of his contemporaries a child must be more intelligent but not too much more intelligent than those to be led… But generally speaking, a leadership pattern will not form–or it will break up–when a discrepancy of more than about 30 points of IQ comes to exist between leader and led. The implication is that there is a limit beyond which genuine communication between different levels of intelligence becomes impossible. This seems to me a significant logical leap. Hollingworth was writing specifically about leadership, and in childen, but Towers extrapolates the point to claim that any kind of ‘genuine’ communication is impossible across a 30 IQ point gap. It is worth noting that although Hollingworth was an academic psychologist, her remark about leadership does not seem to have been stated as a scientific conclusion from research, but simply as an ‘observation’. Towers was not a psychologist, but was a member of various high-IQ societies. ‘The Outsiders’ was published in Gift of Fire, the journal (not a peer-reviewed scientific one) of the Prometheus Society, membership of which is open to anyone scoring above the 99.997th percentile of IQ. Grady Towers died in 2000 at the age of 55 while working as a security guard. So as far as I can see the ‘communication range’ is just an idea someone came up with. It’s not based on data. The reference to specific numbers (“+/- 2 standard deviations, 30 points”) gives the illusion of scientific precision, but these numbers were plucked from the air. Of course, that two people might struggle to communicate because of differences in their mental capacities (or any other personal differences) is hard to doubt, but that this always does happen once a specific difference in IQ points is reached seems doubtful. The assertion that the maximum IQ range for effective communication between leader and followers is 30 points appeared in Robert Heinlein’s classic juvenile sci-fi novel “Space Cadet” in 1948. The hero, an apprentice officer in the Space Navy, grows tired of all the studying his position requires and puts in to transfer to the Space Marines. But his commanding officer tells him that officers shouldn’t be more than 30 points smarter than their men, and thus in the Space Marines he’d flounder because he is so much smarter than those jarheads. I’ve always wondered which psychologist Heinlein got that idea from. A lot of interesting studies were done during World War II. For example, my father, a Lockheed engineer from the late 1930s to the early 1980s, claimed that a government study at Lockheed during WWII found that the optimal number of hours per week of work for getting the most work out of the average worker was 52. Above that, In the long run, quality would start to decline so badly that it wasn’t worth it. Is that true? I don’t know, but it’s pretty interesting. In the early 1980’s, I worked as a PCB designer at Bell Labs, up at the AT&T’s Merrimack Valley Works and once I recall we had to walk down the hall, to “Western Electric” / Manufacturing to watch a series of Quality analysis videos produced by the famous Dr. W. Edwards Deming, and if it would have behooved “Management” to have a working grasp of maximizing real productivity, Dr. Deming emphasized that “Management” was falling well short of the mark. I’m not sure, but I find this interesting too Steve. Lots of companies in the US that make a lot of money at present work their salaried employees much longer hours than this, which might indicate the number can be higher. I suspect there might be a big difference between manual labor and keyboard labor here, but I don’t have any real data. Late 1990s, I read some well-credentialed study (Harvard? MIT? I forget) validating that at most a ~10% sustained OT rate can give a lasting increase in net output. Any larger sustained OT rate gives only a temporary boost in net output — for about two weeks — after which psychological adaptations kick in, restoring for the employee some work-life balance. More recent research in willpower backs this up. While willpower can be strengthened by practice, much like a muscle, willpower also fatigues in the short term, like a muscle, … with a tendency for rebound hedonism to protect us from too much self-sacrifice. These studies have closely matched my personal experience, as I’ve worked ~31 years in roles that constantly push for more hours than I can sustain. My positive engagement and output definitely follows these described curves. Spend too many hours per week at work, and I start to steal personal hours back out of those, like Swiss cheese. Well, based on my casual reading that is likely a bit high but in the ballpark and it may depend on exactly how one defines the 52 hour. Generally the figure of 40 hours is used for like what I imagine an “average” worker in an aircraft assembly plant. There was a study of worker productivity in the British munitions industry during WWI that found that increasing working hours beyond 40 hours/week showed no increase in productivity. I have seen some discussion suggesting that even shorter hours might be reasonable for knowledge workers but am not familiar with any research in the area. Possibly, but it would have been very case specific concerning a subset of workers. More generalized and better studies were done on this at the turn of the 20th century when efficiency experts were the rage and studying all sorts of business related activities. Several studies were published and the findings replicated by other researchers showing that beyond forty hours of work a week, productivity gains were offset by increases in errors. When this was examined in conjunction with overhead costs, unit cost of production started to increase beyond forty hours of work a week. Thus, our current 40 hour work week model. In war production, as you related in WWII Lockheed studies, there may not have been concerns for unit costs vs total production, which would have yielded a different finding. Thank you! Thats what i was saying. Much more recent and much more controlled studies have shown that outside 6-7 hour work days, productivity GOES DOWN (or stays the same even though more hours are being worked and more company money is paying for them). There have been several good studies showing that in the long term, it does a company a disservice to work employees overtime. same can be said for compressed workweeks. Working 12 days or nights 3-4 days per week. Productivity and especially quality falls off after 6-7 hours let alone 12.
Business does not exist to benefit workers. If improving the business model empowers workers to usurp their subordination by the establishment, you will find the opposite actions taken. Other people have studied that and claim that, for the average* worker mind you, a worker will be just as productive if not MORE productive in the end, after 6 hours of focused work, than after 10 hours of exhausted, mind numbing, miserable and unfocused work. That puts the ideal work week at about 30 hours. I dont think Lockheed – a fantastic and highly respected company-is the best place to conduct this study. Who did they include? Their employees? I have a feeling this study was extremely biased and npt without ulterior motives. Interesting! Either Heinlein had read Hollingworth, or it was an idea that entered general circulation. Heinlein graduated from the U.S. Naval Academy in Annapolis, Maryland with the class of 1929 and went on to serve as an officer. If things go sour on a ship, you have 1000 men and nowhere to flee. What besides Command will save you? Yes, ideas, right or wrong, enter the “general circulation” and it’s very hard to route them. Ideas in this case are not merely ideas, but mixed with emotional agendas: the hardest of all to change. Now that’s brings a whole new dimension to the concept of vanity press. This society…accepting one in 30 000 and still only around 100 members. Sigh. And I guess tweeter commenters are yet to learn about stoic ethics. Smart people don’t hesitate to lie. Fake news is the new black. And told the biggest whoppers in the world. I voted for President Trump and find I have buyer’s remorse. That said, I still feel Trump is better than Hillary would have been.. You need to be more like Captain Reynaud in Casablanca, yo. We’ve been trying to tell you for a while. Haile Selassie was Ethiopian, not Somalian. Are you kidding me?! You’re really going to come on here and make such a blatantly false and racist claim? Wow, I just discovered the “block user” selection on Disqus! No discussion concerning IQ is valid without a Dilbert cartoon, so here’s the relevant one. IQ is the great enabler – nothing more, nothing less. Having finally found my own tribe(s), I would not swap my family, my friends, my work and my hobbies to all the money in the world. You cannot take your wealth with you in the grave, so what’s the point? It is enough for me to make sufficient money to fund my family and my hobbies and have some savings should a rainy day hit. In the end the one who has most toys when s/he dies does not win. The one who has played most with his/her toys with his/her toys before death wins. Well, and maybe the one who makes up most of her own “toys” (creative and fun projects) from inexpensive and ready to hand things (instead of buying them) wins. Well since wealth is a social phenomena, being wealthy requires a fair amount of other people to concede to that…and if high IQ diminishes likability, then we should see a negative correlation. That path to success for the high IQ is to dumb down and fit in. There appears to be empiric evidence for the 30 points (two standard deviations) range. It is more than just a myth. The requested URL /old/_rau01.html was not found on this server. It seems many of the answerers actually do have experience and empiric evidence of the communication range. I think that would be quite fun, if someone seriously did scientific research on the ‘IQ-based communication range’. I imagine tons of scientific papers referring each other, criticizing their methods for not sufficiently accounting for countless confounding factors. Finally they reach the conclusion that high IQ people perform more efficiently than others when they are given the same task under same conditions. Fireworks! I think the argument would not make more sense even if it were based on some data. The problem is not IQ itself, it can be a good way to quantify cognitive capacity and it can be useful depending on the context. It is because ‘meaningful/genuine communication’ does not mean anything, so it can be anything the observer wants. You can rephrase the quotes changing ‘IQ’ for ‘mood disorder questionnaire’ or ‘which game of thrones character are you test’… I guess what you find disturbing is that the real argument is masked by scientific-like language. Qualitative arguments have values of their own. People having different level of knowledge about a topic unlikely communicate, regardless of IQ. There is more than enough information in the world to communicate far beyond the capacity of any individual to handle, and few (if any) of each bit of that information is inaccessible to an average person. Lack of motivation to communicate or how you feel about communication is something different. The way they process information might be inaccessible for two people with very different capacities, which is not surprising because it is how IQ is defined. But information itself is not magical. In this sense, personally, my observation is that If I and the other person is willing to communicate; understanding someone apparently much more intelligent than me just takes longer. Same way, it is not impossible for me to communicate with someone who is mentally disabled. In both cases obviously I do not understand how they process or how they feel. However, the communication breaks down if the other party (or me) distort the reality, which I think is the case. Regarding leadership, no need to say things like physical power, charm and dominance, but the observation is invalid unless the sole purpose of the group is to solve a math problem… I would expect a clear discrepancy of IQ between a child and an adult, that is why adults are able to supervise and lead. So, if communication is not possible between the leader and the led, then I bet 30 points IQ gap is not genuine, or more likely that gap does not add anything relevant to the situation (like when being faster not necessarily get you to your destination earlier). Also, is it awkward to say that long long ago people invented hierarchy and specialization for a reason. It doesnt matter if people of differring IQs rarely communicate, it’s just about when and how they do. Good comment though! with Mr. N. Skeptic that the 30 IQ criterion seems like psychobabble. his plot-lines, not to mention his penchant for military and Randian ideology. I have a high IQ and as far as I’m concerned it has been a curse. Not a fun life. I was always too clever to listen to people who were trying to give me direction because I ‘knew’ I was way smarter than them so I knew way more than they did. Now I’m almost 64 and have nothing. No, wait, I have an old trailer. My dad always said, “If you’re so smart, why aren’t you rich?” It went right over my head. childhood friend with stratospheric intelligence who was literally ruined by his parents. to function well. Just sayin’. Yikes! Child prodigies do not only tend to burn out young, but they are sometimes sheerly cremated alive! Nothing is worse for a young brightie than to be born in a family where his or her talents are abused. Such child is nothing but a trick pony or some kind of a circus animal for his or her parents, and the results can be devastating. There is nothing bad if a kid wants to be new Teemu Selänne, but if his father wants to be new Ilmari Selänne, it is alarming. As I insisted, high IQ is but a great enabler. How you use it, depends on a) yourself and b) your environment and milieu. When talent is combined with willpower and self-discipline and supportive environment, only sky is the limit. That is why schools for specially talented are a good idea. They would provide a bright kid not only a place to meet peers and socialize with them and develop social skills, and enough intellectual challenges, but also to realize that when he or she is in correct environment he or she can really develop the talent to the fullest and benefit from it. It is not elitism but preservation. In such environment a kid would also realize he or she is not too clever nor smart to listen to other people. It’s awfully lonely at the top. I learned in the comprehensive school to hide the candle under the bushel. I sometimes deliberately answered wrong on questions on tests lest I get too good grades and to be singled out as swot. Playing dumber you are is incredibly consuming and destructive. The same argumentum ad crumenam works also the other way: “why aren’t you smart if you are so rich?” The answer is that IQ and wealth tend to have correlation but not causation, and it works only up to IQ of 120 to 135, where it begins to peter out. I myself am just another lab rat in a small university. But I feel I am amongst my own and I wouldn’t swap it for double the salary at private sector. The milieu and social concept matters me more than wealth. “Playing dumber you are is incredibly consuming and destructive.” Yeah, but what about those who feel threatened and put off by those who seem more intelligent, who react by avoiding serious subjects, reading “hard” books, etc etc. That is destructive, too. I agree that IQ is not really the problem, it’s root is in the emotional responses to perceived IQ and what it “means”. And besides, how would you know that? Find facts before you post. Most studies show that smart people are extremely skeptical of everything. Even science. Couldn’t agree more. That’s one comes from paying attention and listening. Actually the Grady M. Towers’ review refuted a lot of the Terman’s axioms. While all high IQ people aren’t by any means unhappy misfits, many of them were – and the higher your IQ, the more problems you were likely to develop. And what was even more dramatic was that high IQ women had significantly more problems than high IQ men, while there were far more men amongst the Terman’s subjects than women. Towers divided the Terman’s subjects in three categories: complete successes, some maladjustment and severly maladjusted. There were two trends. The first was that the higher the IQ, the more chances of maladjustment. The second was that the more like-minded background (i.e. siblings and family members who had similar IQ, elite schooling, career in academia etc) the less problems with maladjustment, while those who had to grow up in environment where they found no peers, the more likely to develop maladjustments. Tower’s postulate was that the 30 point gap is no psychobabble but very much real. I (the original writer of the Quora essay) have found it empirically very much true on my own life as well. Those interested in details may as well read my original essay on Quora. I don’t consider myself as an unhappy misfit. On Terman-Towers scale, I would be “well-adjusted”. But let’s say I have cried my cubic metre of tears over this issue. Not that I’d want to disturb your preconceived ideas, but I’d suggest that you actually bother to read Grady Tower’s original article before passing judgment. Among other things, he has an answer to Terman. The Neuroskeptic posts a seemingly valid critique of this hypothesis as for now merely a hypothesis, but then offers a counter opinion as something more than opinion. Hmm. I’d love to see some serious study on this topic, since it could offer so many insights into the challenges of society, business, and government. How large a role does this play in elections (e.g., the last major one)? For now, it’s just an intriguing speculation. For me, it has the ring of some truth. But there may also be some Dunning-Kruger effect (applies to geniuses too) / self-validating perspective. I think the only reason someone doesn’t want to communicate with or can’t communicate with someone who has a perceived higher or lower IQ is because they are assholes. But what do I know? My IQ is 145 and I like everyone and love to communicate with everyone – except assholes, that is. And, sadly, there are a lot of those. People of all colours, sizes and shapes are interesting. The more off the beam they are; the more interesting. Having IQ of 145, your effective communication range would be from 115 to 175. That will contain some 18% of the whole populace (assuming average of 100). It is wide enough for sufficient socialization and social adjustment to claim you like to communicate with everyone. On Terman-Towers scale, you would most likely belong amongst the well-adjusted. But I presume your comprehensive school wasn’t all wine and roses, and you mention you have met your fair share of ar$eholes. You also mention “the more off-beam they are, the more interesting”. That fits well on Towers’s findings. Have you ever been in a “totalitarian institution” such as military, hospital, penitentiary or boarding school – where you have been amongst people you don’t know and where there is no getting out? If you have, you most likely have kept your eyes open and learned a lot of people with average or slightly below average intelligence. The communication range isn’t about communication per sé: it is about _meaningful_ communication and interaction: forming friendships, forming marriages, companionships, acquaintances and finding a group where you can say you belong. According to A.R. Jensen (1980, a marriage is most likely to succeed when the IQs of the partners do not differ more than 13 points. And finally to everyone: If you think you are the smartest person in the room and the others feel like dumbasses, you most likely are. Find another room – preferably occupied by smarter people than you are. You both will be delighted. 18% isnt very much at all. No, it isn’t. It is approximately only one in six. That is why people with average intelligence are so lucky – their communication range is much broader in this respect. A big one. Everyone with IQ east of 135 knows it is no wine and roses, but a blessing which comes with terrible price. Everyone who has experienced it himself or herself knows they are no elites, but deviants. High IQ is like height. Slightly more than average, it is an asset: much more than average, it is a liability. If you are much taller than average, say 2 m, you will find it extremely hard to find clothes, furniture, gear etc – they have all been designed to shorter people. The same applies to IQ. The society runs on conditions of the normies. Every high IQ person who is also smart, learns very quickly to hide his or her candle under the bushel and play much dumber he or she really is – to fit in the crowd and not get bullied, ostracized, ousted and excluded. The more you differ from the norm, the more likely you are to be squashed. Sorry, but that’s basic human sociodynamics. Many, if not most, high IQ people have never met anyone like themselves and have found any peers, let alone had similar friends. I found people like myself only very late in my life. The best on high IQ societies is that they can provide peer support and meeting places for people who simply are different and not fitting in: a place where to learn the social skills which the normies learn naturally. To put it short: in the land of the blind, the one-eyed is not the king but the freak. If I read “candle in a bushel” one more time I’ll spew Dorito chunks. I suggest you improve your diet. At minimum, it may enhance your mental functions, if not your manners. A cliché a day keeps the …. capacity to enjoy things (not just science but food, music, tricks …). very small sampling of creativity among the larger gen pop. 1) My original essay on Quora didn’t insist that high IQ people tended to be unhappy. Negative: I insisted that high IQ is a blessing which comes with terrible price. Given to all ups and downs of my life due to my own IQ, I consider the net sum as positive. I have had my cubic metre of tears, but high IQ has enabled me also a lot. High IQ is a great enabler – nothing more, nothing less – and in both good and in bad. On Terman-Towers scale, I would consider myself “well-adjusted”. 2) The concept of communication range is not “30 points” per se, but two standard deviations (sigmas), which is roughly 30 points but not exactly. It applies to both directions – to up and down. The limits are by no means clear-cut, but rather foggy. 3) Psychology is not an exact science like physics, chemistry or astronomy. It is somewhere between natural sciences and Humanist studies. We cannot apply scientific method on psychology like we could on astronomy. All theories and concepts on psychology are always more or less mere observations, theories and hypotheses, which either are supported by statistical facts or not. The concept of communication range is not a natural law like law of gravity, but there is an awful lot of empirical data and observations that it really indeed exists. 4) I have myself kept my eyes open and observed people around me and also tried to falsify or prove the communication range. On my personal experience I can say the concept is very much valid. My personal experience in military (boot camp > specialist training > officer academy) produced exactly the results the communication range theory predicted. 5) The communication range is not about communication per sé: it is about _meaningful_ communication and interaction: friendships, companionships, belonging in a group, marriage etc. A.R. Jensen suggested in 1980 that a marriage is most likely to succeed if the IQs of the partners do not differ more than 13 points (Jensen, A.R. (1980). Bias in mental testing.p.388. New York: Methuen.). That is very much on line with what the communication range theory would predict. 6) Towers’s study confirmed several of Terman’s original hypotheses, but also disproved several. The most crucial findings were that a) the higher one’s IQ was, the more problems with social adjustment and ‘fitting in’, and b) the best indicator to predict whether the subject had problems on social adjustment was background: those born in families with siblings, parents and other relatives having also high IQ, having attended schools for specially gifted and been in academia had few problems, while those born in families where intelligence was not appreciated, where they were the only ones with high IQ, where they find no peers in their environment or where they generally found no similar-minded companionship had serious problems with social adjustment. This is a result which the communication range theory would predict. Also high IQ women were much more likely to develop problems than high IQ men. My point is that a) the communication range theory is valid, not because it was a scientific fact but because it is supported by empiric data and b) this subject would need some really serious academic study. The communication range is more than just a “myth”, but it is not “hard science” either. A discussion on IQ, and I was astonished to see that not a single commenter had questioned the concept itself, and what the very diverse sets of tests designed to measure IQ are actually measuring. The idea of IQ quantifying intellectual capacity on a single dimensional scale is a very old and quite naive concept – which for some reason, we have been unable to free ourselves from. It original purpose was to identify those needing special support, and in this regard I expect it is still useful. But in all other respects, treat with caution! According to contemporary cognitive psychological approaches, a person’s capacity to perform the kinds of tasks used in IQ tests depends on a mixture of specific and general cognitive skills. The specific may include the ability to maintain verbal and/or spatially coded information. The general may include the capacity to successfully direct cognitive resources in a goal-relevant way (avoid distractions). But general factors most likely include other things, such as general education and degree of practice with the types of tasks used in IQ tests. And no discussion of IQ would be complete without a mention of the Flynn effect – the observation that population IQs are steadily increasing every generation (go on, google it!). Ether we are genuinely getting smarter, or else one of those general practice/experience things is operating. for IQ tests, troublesome in real life), and a high (but no TOO high) level of obsessiveness. To most of us, exceptional intellect is not about acquiring knowledge or passing tests. Its the ability to critically analyse real world problems, to view see them in a new light, to generate new ideas and possible solutions. from our emotions and core beliefs. Few can achieve this, for those that do, the ability may be limited to a specific field. So herein lies the paradox. Groups that use IQ scores as a membership criterion are buying into the IQ concept unquestioningly. But in so doing, they are failing to display the strong intellect they value so highly. Let’s say IQ is something like height. It is something which can be measured, and per sé – as itself – it is merely a number. IQ, likewise, is an indicator of one’s cognitive capabilities. It is but a dimensionless number, but you can estimate and deduce many attributes from one’s IQ. True, the IQ was originally developed to sieve out those who’d need special support – but it was later noted the concept is very useful for many other applications as well. And if the concept of the communication range is valid – and I personally see no reasons why it wasn’t – the same applies to the other end of the Gaussian curve as well. Those at the right side extreme are people with need of special support as well. Due to the thrice-goddamned communication range. Too many smarts and genii are lost because of it. See “The Inappropriately Excluded”, http://polymatharchives.blogspot.fi/2015/01/the-inappropriately-excluded.html. It appears there is a “sweet spot” of IQ just below the Mensa approval limit (two standard deviations) where one’s IQ is high enough to allow almost any cognitive performance but where the communication range is covering enough to get along with the vast majority of the populace. Most really successful and powerful people tend to have their IQ within 120 to 135 – high enough to be smart but not too hgh to have skewed communication range. There are very few really successful skyhigh IQ people, unless you count chess professionals, Nobel laureates and true genii like J.R.R. Tolkien amongst them. The Flynn effect is a very real phenomenon. I have myself noted that I get much better along with people younger (and smarter) than me than with older people. My personal theory is that the Flynn effect is due to healthier life we live, improved nutrition, cleaner environment and improved education. Epigenetics may play their role as well. attentional style (good for IQ tests, troublesome in real life), and a high (but no too high) level of obsessiveness. Due to my personal experience and also observation of people behaving in high cognitive performance environments. Of course, my samples may be skewed. But IMO the environment and the milieu plays much greater role here. I can say that of my personal experience: I got in troubles with people well outside my communication range, but I have absolutely no difficulties with social skills within my communication range. Let’s say also that Its the ability to critically analyse real world problems, to view them in a new light, to generate new ideas and possible solutions is a two-edged sword. This ability can easily get you in troubles. I learned to hide my candle under the bushel very early in my childhood. The authorities really don’t like if their status and value set is questioned. And here is the paradox: being intelligent is appreciated in our speech and in our values, but in the real life showing it and applying it in practise is a sure-fire way to serious troubles. I’m sorry, I didn’t mean to infer that a focussed attentional style or a reasonable degree of obsessiveness were negative qualities. Just like anything, they’re good qualities in some contexts, less helpful in others. I consider myself to have a highly focussed attentional style, which gives me great “flow” when I’m in engrossed in a problem, but is really troublesome in other contexts where you need to keep a few things in mind at once. I’m also pretty obsessive when I get involved in a problem. My point is really that the traditional conceptual distinction we make between intellect and personalty will probably turn out not to be valid. I was making this point to draw people’s attention to the assumptions on which our current ideas about intellect/personality are based. “limited open awareness” when called for. And then there is “full open awareness” …which is the most restorative of all, but it’s hard to find human-related times and places to experience it together, so it’s often reserved for solitude in nature and the like. I’ve always questioned the nature of IQ testing, usually get a lot of flak over it. But it’s clear that some people are generally much more creative and what we might call “bright” or even “awake”. That won’t necessarily show up on a standard test, and high test scores might leave out aspects of intelligence that are truly crucial to a balanced life. Communication is, though, possible (and very worthwhile) between people of greatly divergent levels of brightness, but it requires a strong ability to enter into the other persons experience and point of view, to listen well and monitor/moderate one’s emotional responses to the interaction. Eh, my guess is that, like me, others here did not want to get into that subject especially seeing as its not ultimately relevant to this particular discussion. Iq test or not, this test vs that test, witch doctor confirmation, moms bragging, whatever the case may be the discussion is about a much more intelligent person failing to communicate with a less intelligent person, and what the range would be within which effective communication could still occur. No, the article is specifically about the 30 point rule, so its very much about measurement. This rule has been derived by applying some basic statistics to a numerical measure called IQ. The ultimate effect is to make the 30-point claim sound “sciency” when it isn’t. But is fine to broaden to more general themes too, about communication and intellect in general. I personally think that the most important determinants of whether people can communicate with those who are different (in any way) is their ability to empathise and perspective-take. Neither of these is measured in standard IQ tests. I suspect some folks endorsing the 30 point rule have been using their high IQ scores as a way of justifying their weaknesses in some of those other areas. yea, no, it mentions the rule. But this discussion in the comments, and half the article is about the communication breakdown between 2 people of differing IQ. No, those things arent measured in IQ tests but a very broad range of things are, and as I said, most all intelligent people have excellent communication skills, because of the very same types of intelligence they apply to any other issue. Most readers here have a high IQ. It’s not in their ego’s interest to question it as an accurate measurement of intelligence. Questioning it opens up the possibility they aren’t as intelligent as they have been led to believe. If one questions the validity/applicability of a composite IQ score then one isn’t intelligent enough and is seeking to compensate for that by questioning the metric. If one does not question the validity/applicability of a composite IQ score then one isn’t intelligent enough and is seeking to compensate for that by not questioning the metric. It’s called sociopathy. It’s the reason public schools have fruitlessly assigned Machiavelli as required reading (while, simultaneously, not mandating courses in finance — the chief tool of the Machiavellian). Success = sociopathy, according to an MD who characterized Wilson’s Syndrome vs. “brightness”. Success, in this view, is the macro social operative definition (of humanity) — not the simultaneous fictional definition characterized as morality that is also operative but only as a layer of illusory fantasy to maintain doublethink. Meanwhile, sociopaths enrich their lives at others’ expense and, if they’re very successful, convince those others that they’re benevolent, even heroic. Humanity is not a meritocracy and never will be. Sorry, but I am high IQ and noticed this myself as a child 30+ years ago. It’s true. Low IQ people just never want to admit there’s anything bad about being low IQ… Even if it’s just a communication problem. I personally noted the communication range in the military. All my life I had been said “if you are so smart, why cannot you learn to get along with all people?” Trust me, I tried. Playing stupid and artificially attempting to act dumber you really are is mentally immensely exhausting. It is basically playing something you are not. I come from a more or less a military family, and my dad suggested army would do me good. So I volunteered when I was young. I had severe problems on adjustment at the boot camp – not discipline, but other recruits: I was too different from them, and I almost got in a knife fight. As the average IQ there was 100, it was out of my communication range. The boot camp felt like a prison or concentration camp. When I went to specialist training, the situation improved. Military engineers tend to be much more clever lot than average grunts, and I had far fewer problems on adjusting there. I presume the average IQ was now very near the lower limit of my communication range. It felt like kindergarten, but something with which I could cope. When an opportunity arrived to apply for officer training, I applied and got selected. From the first day on I felt I was amongst my own and that I belong there. The officer academy was far harder and tougher than boot camp and the discipline was much stricter, but I loved every minute of it. The other cadets were now well on my communication range, and I had absolutely no issues with anything nor anyone, We formed life-long friendships. It felt as I had been at Eton or Harrow – a prestigious boarding school. There was a clear trend. The higher the average intelligence of a group was, the less problems I had with adjustment and coping and getting along. It wasn’t about the external factors (discipline, physical stress or other conditions) as the academy was far harder than boot camp. It wasn’t about social skills as I got really well along with both instructors and other cadets. It was about the communication range. Other engineering cadets had found similar trend as well. I later resigned and went to academia. My father was right: military had done me good. But what I can say is that I cannot stress well enough the importance of finding your own tribe: a group or society of people which are similar as you are and whose cognitive abilities are similar as yours or exceed them. It is with them you learn the social skills most easily – not with people whose cognitive capabilities differ radically from yours. The things you assign to communicative range could be more attributable to other factors. This is one of the most critical drawbacks of relying on anecdote to define a norm. The problem is that a) the things which are attributable to the communication range recur again and again on different people and b) there are no other common denominators but the communication range for those things. So I challenge you: find a common denominator which would explain the findings better than the +/- 2 SD IQ gap. Failing that, find the “other factors” which would explain them. No need, we have Neuroskeptic’s discussion threads. There are several confounding premises in this article that need to be addressed. First and foremost, there is no current model in wide spread use that explains the operations, functionality, and operating principles of emotions. I say wide spread use…researcher Katherine Peil is the foremost pioneer and researcher in the field of emotions. Her EFS (Emotional Feedback System) model was published in international medical journals in March of 2014 and she is a key note speaker as medical symposiums around the world introducing her revolutionary (and evolutionary) model of emotions to scientist. I partnered with her some twenty-five years ago to advance emotion research and my model, Paradaptive Intelligence, due out in two months advances her work. There is no evidence that intensity of emotions is connected to intelligence. The emotional signalling strength is the same whether IQ is 70 or 170. The only research in which intensity of emotions has correlation to behavior is related topsychopathy. Peil’s model’s initial premise was to create a new diagnostic tool for mental illness. In order to do that, one first had to describe what the mind was (supposed to be) doing in order to describe deviation and its accompanying mental illness. This had never been done before and our work has been a break through in this area. What we found is that what started out as a diagnostic tool ended up modeling the adaptation apparatuses of the mind and the operating language of these systems is emotions, which is how the varying processing centers of the brain communicate with each other. I very much understand the intuitive appeal of the 30 I.Q. point communication spread, however, again, this has limits. IQ at its heart is the rate at which a person learns in active learning, (as opposed to conditioned, which has a much flatter baseline). So high I.Q. individual have a higher reservoir of data to build understanding and communication links upon with other like minded people. However, one of the hallmark personal behaviors of high IQ individuals is to take complex subject matter and explain it in non-complicated ways to people who lack the understanding or intellect to understand the problems or issues. So there really is no so called communication gap. What is really being discussed is propensity or desire to communicate based upon satisfaction of both parties. They can and do communicate just fine, if they want to. I don’t buy this idea at all. Obviously there’s some ideas that people of different levels of intelligence would have very different abilities to comprehend (this is basically built into the definition of IQ), but it’s up to individuals whether they want to define every one of their relationships around discussion of the most intellectually complex ideas they are capable of. It’s not hard to imagine a very high intelligence person enjoying the discussion of gossip about friends, discussion of physical hobbies, and all the rest of the large section of human experience that does not fundamentally require a high IQ. For instance you could imagine a person of normal intelligence who was deeply knowledgeable about horticulture and seed growing techniques. I fail to see why a very intelligent person with a love of horticulture couldn’t benefit and have a real relationship with the more knowledgeable but less intelligent (in an IQ test sense) individual. This basically only goes in one direction. A very high IQ person should be able to understand everything that a low IQ person says at least as well as another low IQ person (assuming sufficient cultural literacy). If the high IQ person decides that that they do not want to have that communication, then that’s a choice not a fundamental limit of communication (i.e. this is only a binding constraint on the low not the high IQ person). I’ve always thought from my own experience that those of us who are just a little above average in the 115-120 range experience much frustration. I remember college was a huge jolt to me. I went from being among the top of my peers to pretty much feeling like a complete moron in college at Rensselaer Polytechnic Institute among some very bright people. It frustrated me to no end that there were certain (mostly mathematical) concepts that seemed to come so easy to my classmates that I had to struggle with yet “outsiders” like family and friends with nonscientific proclivities would see me as being some sort of genius. I felt like a total fraud. The more I consider the mythology of “IQ” the more I am convinced it is a mere “manager’s number*” invented to rationalize sorting humans. Lately, I have seen enough discussions doubting the most treasured claims about IQ that I no longer believe most of the hype behind it. To even think that on a given day any mental test of a real human will occur on a day when every possible variable associated with optimum performance is golden is pure malarkey! All of us have ups and downs that affect any number of of our abilities at a given time. 1. How do you *know* for certain that every subject is at a perfect balance to give valid test results? 2. Would multiple attempts spread over some time period give a valid “average”? What would that mean, mean? 3. At exactly what age are all ethnic groups and sexes “properly matured and balanced” equally so the “game” is fair to all? I could go on, but these few questions are quite telling, aren’t they? Especially when you factor in “dumb luck” and above average “lucky guesses”. Therefore, I assume a ten year old child who scores 170 is mentally comparable to a 17 year old? Really? For how long? If I extrapolate, at 20 our genius is mentally 34? At 40 is about 68? At 61 (my current age) an “average” 103 yr. 8 mos. 12 day old person? My maternal grandmother lived to 105. She did well above average mentally until about 103 or so, then declined from that point on. Never finished elementary school, but knew her King James Bible pretty well. But, bless her, she never in her life equaled me at age 22 when I graduated from college. Then again, she was born when most rural people in our part of the US still used horses/mules routinely, raised livestock for food, and planted gardens they “put up” by home canning. With no electricity. She was the wife of a country Baptist preacher who never herself had a job as an employee. I realize this isn’t near scientific, but then, around age 60, what pool of 103 year olds would be valid to establish the required norm? As you can see, during the last 100 years our world went from animal to microchip scale. What portion of those would we know to have been able to “keep up” with all of that change? Can I really be 1.7 times as capable as my peers? For how long? Considering the very different life experiences and wear and tear we have been through? Quick bio: My dad got his PhD during the time I was 3 to 10 years old. My mom got her master’s in what was called “special education”, eventually becoming a psychometrist. I got a BS in Biology minoring in Chemistry followed by enough hours in Secondary Education to be a certified teacher. Several years back, I began a master’s in Emergency Management, but ran out of money. I am disabled now. (Jack) Welch believes** that in an organization, employees can be broken down into a performance differentiation. He believes 20% are all-stars and A players, 70% are average (and need to work to get into the top 20%), and 10% need to be gracefully released from the company. During my illustrious career in the computer biz, that piece of wisdumb came around my neck of the woods. Now, consider that at the time I was one of a double-handful of humans IN THE WORLD who knew what we knew, because our company had made a very innovative combining of technologies in the late 1980s that is now so commonplace you have a much better ability built into your smartphone today. You’re welcome! Anyway, we were a unique group of rare talent and experience such that whichever of us on a particular day was the hypothetical “bottom 10%”, that individual was still in the topmost percentile of “Neutron Jack’s all-stars” if I don’t mind saying so! So, simplistic nonsense based on percentages isn’t even worth extreme shame and ridicule! In fact, as soon as I hear anything stated in the public’s most favored yet totally misunderstood statistic, namely “percent”, my “BS detector” breaks off the needle every time! The average Jane and Joe often mentally assume their most memorable association with percent: “F < 60, 60 <= D < 70, 70 <= C < 80, 80 <= B 90”. Don’t even think of the complications of percentiles and standard deviation voo-doo! So, my conclusion is that a lot of “manager’s numbers” have continuously crept into common usage without much scrutiny, or actual understanding by the end-users. IQ looks an awful lot like a “truthy, sciencey-looking” number with the usual questionable real-life usefulness. If a person has a 30 point higher IQ – which I have to add is a VERY large difference! – than their audience, the person with a higher IQ should, with all that extra reasoning skill, be able to formulate a way to communicate their points in a way the less intelligent person can understand. In fact, Im inclined to say that the more intelligent a person is, the better ability they should* have at all types of reasoning, and therefore should be able to devise a different way of explaining their ideas to the layperson or the much less intelligent. Some would say that some people are SO intelligent that they “lack these type of social/communication skills”. Some believe the incredibly intelligent are so advanced, they can no longer effectively communicate. I say- ABSOLUTE RUBBISH! In my opinion, the higher the IQ, the BETTER their social skills should* be, as a part of intelligence in general. In my experience, the very smart can apply all their reasoning to social situations, and communication, and should develop a quite high social intelligence alongside their standard intelligence. I think the crucial thing is to differentiate between ” Intelligence” as a broad array of abilities, and “I.Q” . In my opinion, what you are talking about is the first, not the second. I would agree that speaking here of broad Intelligence, yes, such a person, no matter how brilliant, would find a way to communicate with others not as brilliant, even vastly less intelligent. I said the same thing in a prior comment. Star Trek: Voyager took the same view in an episode where social misfit Lt. Barclay became a super-genius via alien enhancement. That pop culture showcase of the idea suggests to me that there are clearly limitations to your/our hypothesis. In the Voyager episode, his quirky diffident social behavior was replaced by suaveness to the point where, in typical pop terms, he became the focal point — the “life of the party”. Setting aside the crudeness of such presentations, though, the episode makes us ask ourselves how many fit that model. How many, as individuals, are a showcase of the best of everything humanity can offer? It does not ring true. Crude people are most frequently the centers of attention, like Donald Trump and Simon Cowell — as they appeal to a larger portion of the audience, in terms of IQ. By contrast, entertainment that involves highly-intelligent people, such as NOVA broadcasts, are couched in an educational mental niche. Put simply, it is not particularly cool, as a general rule, to be highly-knowledgable and/or highly-intelligent. Both are seen as rarified, which they are. Specialization seems to play a strong role. Psychology’s Cognitive Behavioral Model shows (according to it, of course) that prior behavior (experience) influences future behavior. A tennis player is more likely to notice stimuli relating to tennis in their environment and act accordingly. Unless a person becomes nearly omniscient, in the manner of an alien-enhanced Barclay in a later phase, it seems very much impossible for anyone to be better at everything simply because of innate intelligence (referred to as fluid intelligence, versus crystallized knowledge which comes from experience). Put simply — being highly-intelligent isn’t enough. It will help the person acquire and deploy the knowledge needed to effectively communicate to people (referring to groups with IQs quite detached from the speaker’s) but it doesn’t guarantee such fluency. The differentiation between fluid and crystallized intelligence seems pretty critical in these discussions. I learned about that a long time ago as an undergraduate in one of two psych courses I took. I don’t know everything relating to the dichotomy but it seems to be considerably more elucidatory than smashing the two together into a single “intelligence”. I said they should better at reasoning and explaining things to less intelligent people. I said nothing about “being the center of attention/life of the party”. I understand the simple connection, because one who is able to be that person is one who is socially gifted, but its not required. I was mostly referring to simple communication of ideas, not so much concerned with the idea of the audience falling in live with the speaker or being unable to turn away. I said absolutely nothing nor implied anything about being cool or popular. So, your points are irrelevant to my statement…. That said, social intelligence is certainly required for what I mentioned, communicating with the general public, but you are way off on a tangent here. One is not required to be cool in order to be capable of speaking to idiots in a manner they can understand. And no, of course it doesn’t guarantee such skill, but it definitely makes it a hell of alot more likely, and its my opinion that at a certain level of intelligence, this ability exists regardless of environment or origin of the person. I simply meant that a highly intelligent person should certainly be capable of speaking in layman’s terms to a lay audience. Ps- while an enjoyable show, Star Trek Voyager is a tv show. People pay attention to those they think are worth listening to. Even if the words coming from the mouth of this adept speaker are comprehensible for the listeners it doesn’t necessarily strongly correlate with how much attention they’ll pay. Attentiveness is a necessary part of comprehension. YES but likability is only necessary to a point. Popularity is irrelevant to most, I hope. None of that is a rebuttal. Do you get out much? Do you understand the concept of simply talking to another person? Everything I say doesnt have to be a rebuttal. Are you paying any attention? Or are you too busy focusing on your attempted condescension? The point was that popularity is irrelevant to –whether or not your audience listens to what you are saying. It has some effect but imo its negligible. My point is that popularity and likability are irrelevant to the discussion about IQ and audience understanding what is said. The core of your blindness. There are several definitions of the word. Popularity involves what is likable, to most people. Popular> populous > people. That doesnt mean it’s important to most to BE popular. I understand the etymology of the word. Being “of the general population” or “liked by most of the population” doesnt imply its a priority to the population to be so. It doesnt imply intent just a characteristic. Popularity is irrelevant to most people, eh? Check out the etymology of the word, as well as its definition. Stephen Hawking, at least as a fairly young man, apparently liked very crude lowbrow anti-gay humor enough to appear in an episode of such a program. So, my analysis is supported by the example of him. How does one explain the ability to communicate with children who would score comparatively low on the same IQ test taken by an adult? Admittedly some children are easier to communicate with than others but that seems to have more to do with attitude than intelligence. Well , you really shouldn’t draw any strong conclusions after such a cursory investigation. The concept of a range of mutual understanding was explored by Dennisen and extrapolated from work done by D.K. Simonton. He found that a person is most persuasive when speaking to a group whose IQ is 1.2 SD lower than their own. Greater than that, persuasiveness decreases due to a reduction in audience comprehension. If you Google The Inappropriately Excluded the bibliography will lead you to a more comprehensive list of relevant research. So if I understand it correctly, the counter-claim is that even those who can never become leaders as children, can somehow still acquire the art in later decades, and even if not, they still may have some kind of genuine communication sometime later in life. An added comfort could be found in the fact that the range isn’t actually 30 – for all we know, it might be just 20! To me the 30 point rule is more for maintaining relationships. I can easily communicate with someone who has an IQ 30 points lower than me. However over time I can not maintain the relationship because there is a gap in our communication. I think this is true not only for IQ but for personality types, values and interests. For example if you think about one of the big five personality types like extraversion. If you make a scale as to how extraverted someone is. Maybe like 1-10. Where 1 is an extreme introvert, 5 is an ambivert and 10 is an extreme extravert. I’m a 2. I can’t imagine maintaining a relationship with someone who is 6 or greater ( which is like 2 standard deviations away ). Interesting. BUT I doubt you can one to one compare IQ or general intelligence with intro-extroversion. I’m not comparing one to one just using the idea that if we are too far apart in IQ, personality, values etc that there is going to be a break down in the long run. If this is indeed true then it makes it easier to find the right relationships. By knowing yourself you can have a clearer picture of people you are more likely to get along with in the long run. I most definitely agree with your last sentence. While I don’t know if the numbers were scientific or not, IQ itself is not that precise anyway, the implications are true. Also from my observations I can easily talk with intelligent people but normal people either have no clue what I am talking about, take it all up completely wrong or think I am arrogant, whatever. I don’t know if 30 is the magic number but there is an IQ gap that makes communication a joke. I like it the way Towers put it “genuine”. I can talk to stupid people but I patronize them while I do it without them realizing it. The more intelligent people are the more straight I can talk to them. One may lead and be led in conversation. Obviously, that’s where this line of reasoning comes from. Your argument that ‘this isn’t always the case and is thereby untrue’ is nothing more than eristic. Anyone with common sense understands that such an observation is made in a generalized sense and not in a ‘if all meeps are bleeps’ format. The ‘absolutes’ argument has always been a faulty one and was already destroyed by Socrates millennia ago, in his conversation with Protagoras. The US army has been conducting IQ tests since 1910 and they made it illegal to induct anyone below 83 IQ. Maybe this accounts for the inability of academics to relate to society at large in a meaningful way – i.e. they are not smart enough. That is amusing. The (stereo)typical argument is that low IQ people are more emotional. That is because in the past emotions were identified with animals and the animal side of human nature. But now that emotional intelligence has been popularized, all of a sudden some are arguing that smart people are more emotional. Maybe some of this change in thought is caused also by the popularization of talk about high-functioning end of the autism spectrum, specifically Asperger’s. So much of the discussion on high IQ has been framed along these lines because of the neuroatypical advocacy. The thing about autiscs is that their emotional experience is different from non-autistics. It’s not so much that it is greater at the extremes but more raw or less subtle in expression. Non-autistics, on the other hand, tend to have more complex or mixed emotions which isn’t to say there isn’t great range. The whole neurotypical and neuroatypical debate has probably gets conflated with the general discussion of intelligence and emotions. The results of this conflation seems to have caused confusion. There is more to conversations than IQ. It’s actually the topic that matters. While I discuss the existance of the number zero with one friend from university for his. I can also discuss some inane comedy with somebody below average in a bar for the same amount of time. And I’m pretty sure my mathematican friend wouldn’t mind to join in either. It depends on your people skills. If they are good you will always find some common ground to talk about. It does take a lot of work and self control not to start any “science talk”. And it will always be easier and more relaxing to be around fellow scientists, but as a smart person one is far from unable to hold a conversation or becoming best friends with “below average” people. It actually keeps you from living in a bubble world. Totally worth the extra mile. Hey, that’s the ‘Window of Comprehension’ by Dean Keith Simonton, Chair Psychology in UC Davies. Mind you, that work was in the context of leadership. As I understand him, people in a group wth an IQ a standard deviation (15 IQ points) away from the median IQ of the group would find communications with others tainted by dustrust and misunderstanding. What a gratuitous comment to reference the work as a security guard. Is that somehow a disqualification? Apparently it is to the pearl clutching author. I have an IQ of 165. I served as an enlisted man volunteering for the army during the draft. I hiked the Pacific Crest Trail. In each instance I learned the true value in life is others. I never had a communication problem. I was recruited on enlistment to attend West Point, but declined. The military appears to disagree with the childhood IQ limitation carrying over to adulthood. I think it valid in the former instance, however. I absolutely hate how true this is. 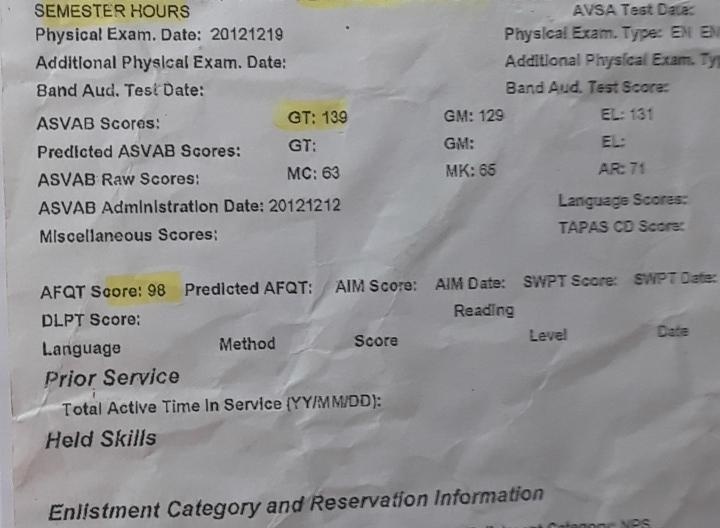 According to one of my commanders during my service, I had the highest test scores in the state, yet, I’ve never been promoted in any job (about 25 different restaurants- I’m 31), or put in charge of anyone, even something as simple as a classroom setting dividing everyone up in to small groups. That couldn’t be said any better. Unfortunately, these average, and below average people, are going to keep arguing with reality. When a new species is discovered, it gets media coverage, and its existence becomes fact. But when huge amounts of data continue to show that intelligence is largely due to genetics, it gets zero press, and the vast majority doesn’t allow it to be. This level of control being exerted by the bottom 95% of minds in society is frightening. Anything that challenges their world view is greeted by ignorance and disavowal. So of course the average joes and janes can’t be led by the intellectually superior– because they choose this to be so. I’m a waiter, I deal with people every day, and I notice behavioral patterns over longer periods of time. Most people are Extremely conservative. I don’t mean politically, I mean The willingness to change little aspects of their everyday life. Intelligent people look at the way people do things, and immediately identify the flaws, and think of a better way to do it. Average people hate this. It makes them feel stupid. I think this is why there’s such a communication gap between your average mind and one that should be in charge yet rarely is. People don’t want anything to change, so they create barriers between themselves and those who might challenge any tiny detail of their everyday life. Na. It is just a one way street. The average person can’t relate to the genius, but the genius can relate to the average person. It is like how an average person can understand the chimpanzee’s life while the chimpanzee will be highly unlikely to understand the human’s in any substantial way.